You should mix olive oil and lemon juice and then add several drops of your favourite essential oil. Take the wet cloth (preferably soft) and wipe the surface of the wood to shine. Important: This homemade polish can be stored for a long time and, more importantly, it is completely harmless. We present you another effective homemade recipe polish which is a bit more complicated in composition, but it is very is good. If you have the opportunity to find all the ingredients for its preparation, it is better to make this polish. Just mix all ingredients well and put this mixture was put on a soft cloth and apply it to a surface till you see the high gloss effect. Important: It is necessary to keep polish in a glass bottle and shake it before using. Important: You can wipe the wooden walls and partitions with the same homemade polish. 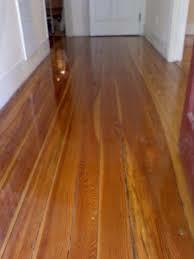 Wood floor can also be washed with vinegar. You can very easily make a furniture polish at home, if you want to avoid the chemicals that make up the commercial polishes. You can make polish in two ways, depending on the level of polishing, in which your furniture needs. 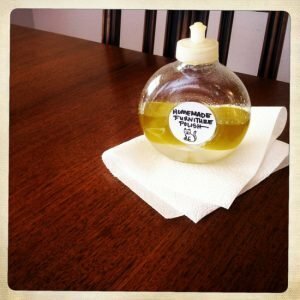 This wax is best used on furniture which looks oily and not on a lacquer surface. Choose cheap olive oil for making furniture polish. The cheapest oil is pomace oil is perfect for polishing furniture. 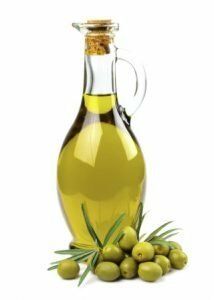 Mix olive oil and vinegar in a glass or ceramic container. Apply the polish with a soft cloth. Leave it on the surface will the oil absorbs. It is best to use a simple mineral oil, which is sold in pharmacies as a laxative, as it will not rancid and is absolutely safe. Do not store this wax, it is necessary to make and use the same day. Dispose the polish as well as olive oil. This polish is suitable not for any furniture. For example, lemon juice and vinegar are soluble in water, acidic solutions are likely more suitable for polyurethane or laminate furniture coating. 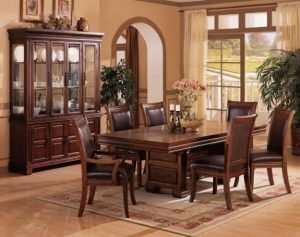 If you do not want to take risks and are afraid to spoil the antique furniture, use special recipes for antique furniture which you will be able to read in our article as well. If you apply the polish on the antique furniture with fine finishes, smoke may appear on its surface. If you are using another type of vinegar, there can be stains. First, check the wax on a small area of furniture. If the mixture makes furniture too greasy, reduce the amount of oil. You can renovate old furniture using ordinary shoe polish! Choose a cream color that matches the color of furniture and just wipe the surface with it. Excellent furniture polish and refreshing method is ordinary beer. For polishing you will need to moisten a soft cloth to wipe faded furniture with beer. If the furniture has minor scratches, they can be treated with a solution of vinegar with iodine, so they become almost invisible. If there are traces from cups and glasses in the form of whitish rings on your furniture, make a mixture of equal parts of vinegar and olive oil and apply this mixture to the surface of the furniture and stains will disappear. 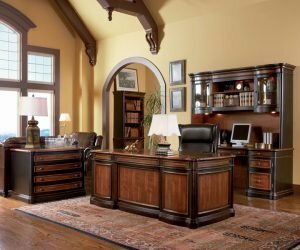 Important: The benefit of all these so-called remedies for your furniture is their availability. Some of them can be found in every house. They are cheaper than polishes that you can purchase at some shop. Moreover, all of them are natural and you won’t have an allergy using them while cleaning. 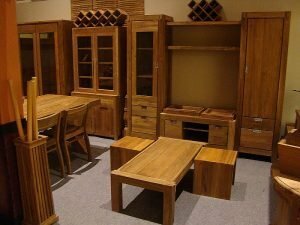 If you want to extend the life of your wooden furniture, it is necessary to take care of it. You can wipe it with a special compound that is easy to prepare by yourself. That’s why let’s continue with our effective recipes for your furniture. Some people may think that is easier to go to the shop and purchase the furniture polish there. However, not always this variant will be beneficial. Let’s talk about disadvantages of the polish means that are sold in the shops. Paste wax can provide you only with the medium noticed shine. Moreover, its application takes a large amount of time as the means will dry for a long time and then it is necessary to polish it. After several applications it should be removed from the surface. Wax on the basis of liquid will give a stronger effect than the previous method but it will take much time to wait to dry and a little polishing will be necessary. Oils for untreated wood give some definite degree of protection. But while the oil is not completely dry, they may get dirty, and in case you touch furniture fingerprints will remain there. Wax and oil form mud areas after their accumulation. Sprays for wood coating give the surface a medium glitter but the covering of surfaces can be removed within some time. Cloths are not going to remove dust and don’t give a special shine, they protect the surface of furniture poorly. Sprays for removing dust do not give the gloss or it is very weak, they do not protect the surface. Important: This means, by the way, is suitable for cleaning of almost any surface. a little bit of liquid soap. Mix all mentioned ingredients and pour mixture into a spray bottle and let soda dissolve during some time, after that it is necessary to shake the mixture. Treat this means to the contaminated surface, and then wipe it with a cloth. Important: Do not forget to always wear gloves when working with cleaning agents. 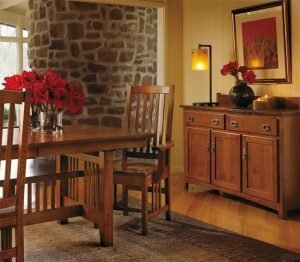 Any cabinet and upholstered furniture needs careful treatment and proper care. On the durability of the furniture is equally bad affect dampness and excessive dryness premises, malicious bugs, parasites, sun rays and dust. Daily wiping with a soft cloth (plush, flannel), soaked in wax-like substance. So you not only get rid of the dust, but will attach surface gloss. 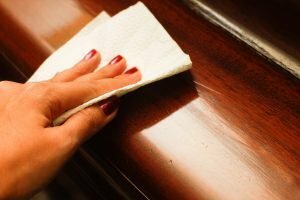 It is impossible to wipe furniture with a damp cloth – it leaves stains, resulting in darkening of the varnish and the deformation of the upper layer (veneer). It is more convenient to use special duster or soft brush for the carved wooden elements. This can be done about once every three days. Any polishing means should be used once a week, applying them to the varnished surface to a pleasant finish. The spots of congealed wax dripping from the candle can be removed with the heated knife, and then wiped with a cloth soaked in white spirit. Mold also can be easily removed using gasoline. Important: Use home recipes to prolong the life of the polished furniture. You will need one glass of beer and a small piece of wax. First you should boil beer and add it to the wax. Mix until a homogeneous substance and cool to room temperature. Then wipe all varnished parts with a soft cloth dipped in the resulting liquid. Further, when the material dries on the surface of furniture, rub with a woolen cloth (to add gloss). Cotton swab soaked in black tea or vegetable oil, suitable for the care of the dark polished. Grease stains can be easily removed from oak and ash furniture with the help of warm beer. Walnut kernel will save lacquered furniture from specific circles, leaving wet mugs and glasses. It will be suffice to rub these places with the nut, and then polish with the cloth. Water stains can be removed with flour and vegetable oil – water sprinkle with flour, and then scrub the table from the flour with a cotton ball with the oil. Old stains respond well to treatment with petroleum jelly (leave overnight, then wipe) or a mixture of vegetable oil with common salt. Cut the potato and apply it to the surface with the iodine stains. Special mastic prepared independently from the solution of wax and turpentine in a ratio of 4/3, mixed with weak heating, followed by addition of 2 parts of rubbing alcohol and thoroughly mixed. 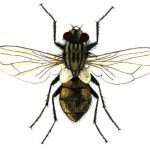 Before using mastic the scratches on the furniture should be wiped with the cleaned aviation gasoline, and then apply the mixture on the very principle of fillings. Next step is to grind to shine. Antiques, possessing the finest drawings ornaments protected with the lacquer or wax coating, requires careful attention, regular cleaning of dust and polishing of surfaces. 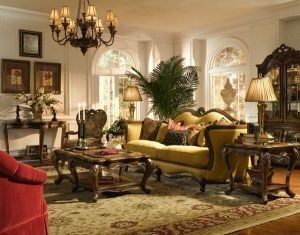 Antique furniture polish is able to retain its beautiful appearance, but for those who are concerned about the chemical composition of the final product, there are a number of alternatives, based on natural ingredients. Natural materials for polishing are suitable not only for wooden vintage antiques, but also for the marble and granite surfaces, and can add shine to metallic vintage accessories, decorating the individual elements of the rare interior. 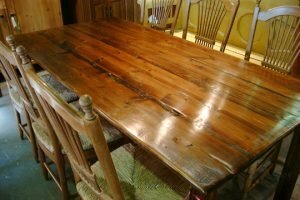 Important: It can also restore the attractive look of wood without the need for chemicals and helps to constantly maintain antique in perfect condition. The reason is that it will contribute to the accumulation of dust on the surface. Important: Don’t use mineral oil for ordinary furniture. Important: Orange oil can be used not only for polishing but for the purification and antiques frangible elements. it does not leave a sticky residue on the surface of furniture. it is widely available in liquid form and in the form of solid sticks that are easy to use. Important: Use it for polishing lacquered wooden surfaces of vintage objects as well as for maintaining the ideal state of granite and marble of rare elements. wipe the surface of the mixture. Important: The vinegar will help to remove dirt from the antique furniture and the oil will create a protective film and restore shine. Such kind of homemade furniture polish is safe for home, where there are children and pets and it soft enough for antiques, which requires regular care and polishing. In conclusion, it should be noted that the frame of furniture made of wood is quite strong and long-lasting device that can serve the owners for many years. Another thing is the appearance of furniture. In order to keep the furniture in good condition, it needs to be taken care of constantly as well as cleaned and so on. Polishing of furniture at home is a necessity, if external indicators are really important for you. Of course, serious repair is a business of professionals, but preliminary work, supporting attractive appearance is in the power of any person. On the other hand, everyone knows that the wood is very susceptible to all sorts of chemical solutions, so we hope that our tips on how to polish with the use of available natural products which were presented above will be useful for you.